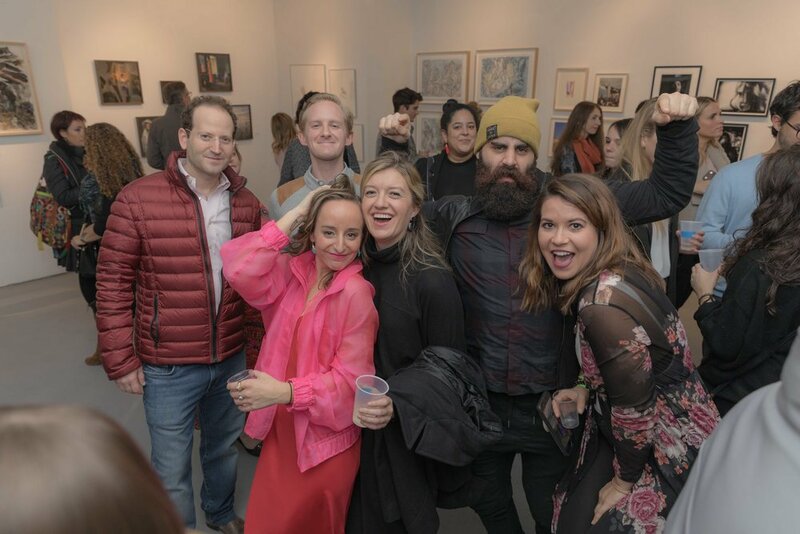 Miami New Times calls Aqua Art Miami "The best Art Fair during Art Basel week"
After months of careful planning and preparation, the Uncommon Beauty Gallery opened its doors on October 18, 2018 at 198 Allen Street in the Lower East Side of Manhattan, New York. 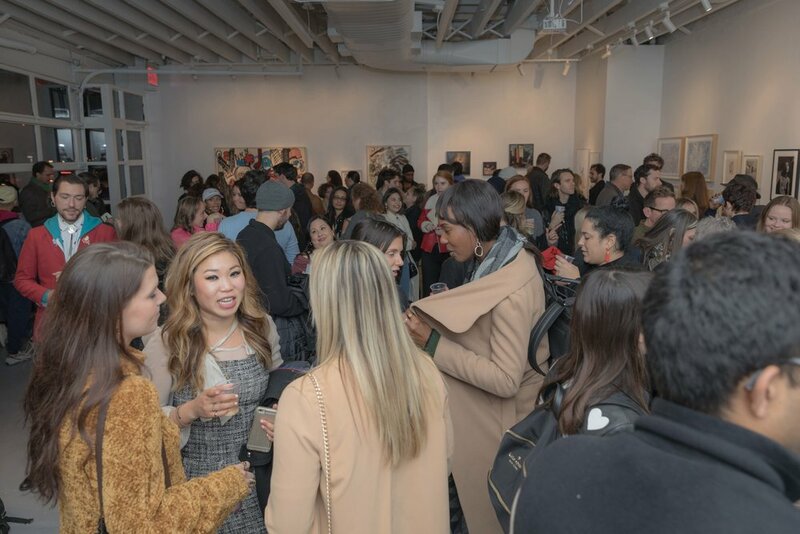 We are so appreciative of the massive crowd of art enthusiasts, collectors, press, friends, and family who came out to show support for the inaugural exhibition and launch party. 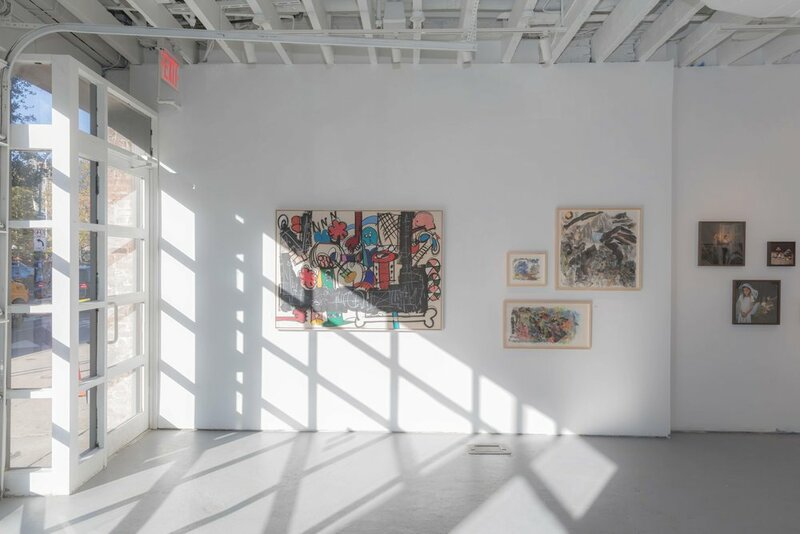 Next stop for the socially conscious art space is Aqua Art Miami. See you at the beach. Uncommon Beauty Gallery partnered with fashion brand boys of new york to created limited edition tote bags and wearable art in celebration of the launch. Packed house! Thank you for coming! Read interesting information about Nina in the last issue of Maker’s Magazine, her exploration of forms and portraits, her admiration for Egon Schiele and much more. 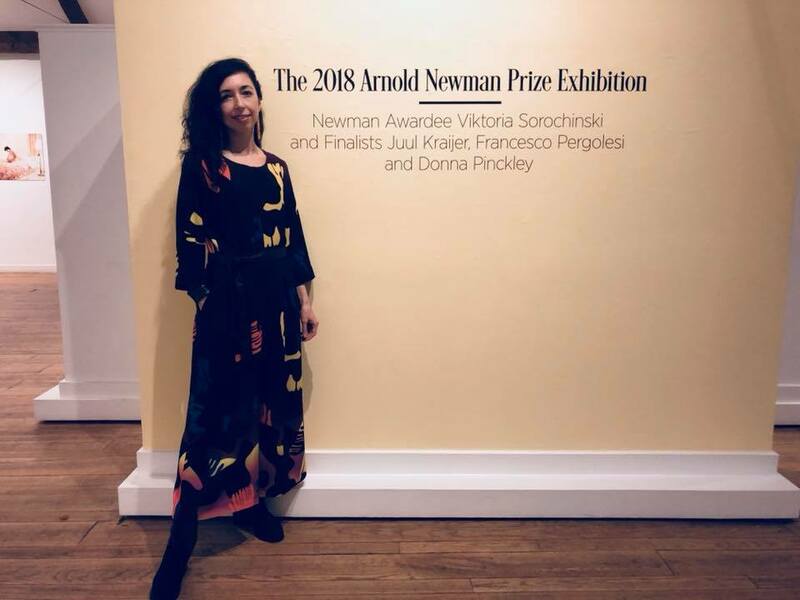 Here we are: Viktoria Soroczinski at the opening of the 2018 Arnold Newman Prize Exhibition at the Griffin Museum in Boston, MA. On october 11th, our very own Viktoria will receive the 2018 Arnold Newman Prize for New Directions in Photographic Portraiture. The ceremony will be held at the Griffin Museum of Photography, Boston, MA. Viktoria and the two finalists photos will be exhibited at the Griffin Museum until October 13th. Then share a drink with Chiu-Chen and artists Jenna Kang and Samuel D’Saboïa for the closing of their duo exhibition. 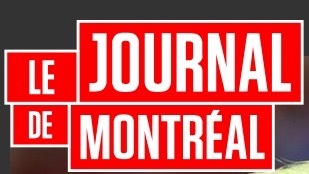 Andrea Hurtarte featured in "Le Journal de Montréal"
Andrea was prominently featured in “Le Journal de Montréal” this weekend in a really positive article by art critic Melodie Lamoureux. Join us Thursday October 18 to celebrate the launch of Uncommon Beauty Gallery. All of or artists will be part of the exhibition and many of them will be present. Havana, Cuba: Evelyn is actively working on her prints. As we are getting closer to the launch Party set for October 18, we start receiving shipments from Berlin, Germany, Chengdu, China, Santa Monica, CA and soon Havana, Cuba. Thank you Evelyn for your hard work printing the limited edition photos we will show at the inaugural exhibition! It looks great! Artists, friends, collectors, bystanders, mark your calendar for October 18 in New York. We are going to rock the Lower East Side! !